For the first time in 60 years, the AHL's All-Stars came to Springfield! 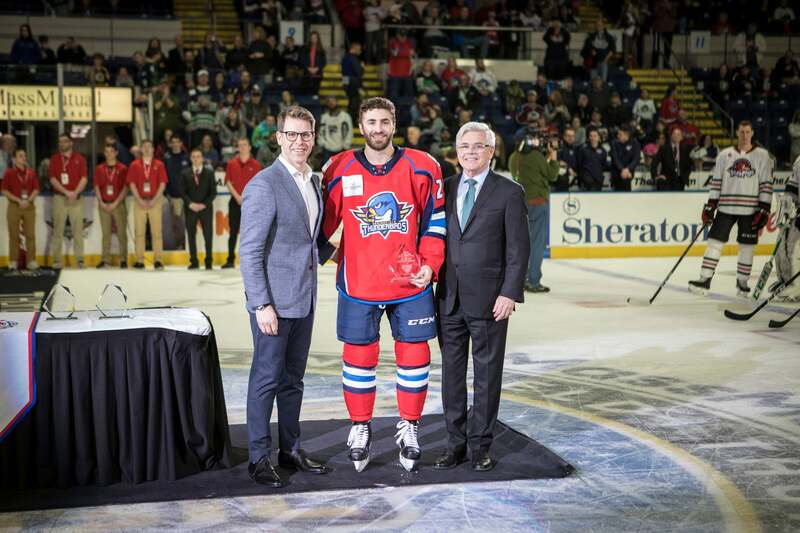 The 2019 Lexus AHL All-Star Classic presented by MGM Springfield was an unforgettable two-day extravaganza on Jan. 27 and 28, 2019. Among the highlights were Springfield Thunderbirds All-Star Anthony Greco breaking the AHL record for Fastest Skater with a blistering time of 13.251 seconds! The next night, the North Division came away as the champions in the AHL All-Star Challenge, defeating the host division, the Atlantic, by a 1-0 score in a shootout. Re-live this amazing weekend in Springfield hockey history via the photo gallery below.